This document sums up the main results of the San Sebastian, Age-Friendly City study. San Sebastian, Age-Friendly City, is part of international effort to assure that cities across the world do not only support their elderly in the ageing process, but make the most of the potential that these people can offer. 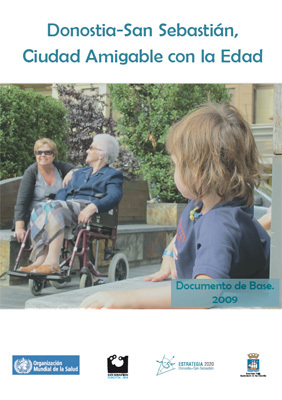 The Global Network of Age-friendly Cities, of which San Sebastian is a member, is a project promoted by the World Health Organisation (WHO), born in response to two characteristic trends of today’s world population: ageing and increasing urbanisation. This space is yours: PARTICIPATE! We want to know your ideas, knowhow, suggestions, criticisms, contributions... Send them to us using this form. * I have read and accept the legal notice.